Muhammad Nurayn Ashafa, a Muslim imam, was once committed to the total Islamization of Nigeria. James Movel Wuye, a Christian pastor, was just as committed to its evangelization. They were bitter enemies, determined to kill each other. Today they are friends and joint directors of an NGO, the Interfaith Mediation Centre in Kaduna, one of the most important cities in northern Nigeria. The archbishop of Canterbury, Dr. Rowan Williams, has called their story “a model for Christian Muslim relations”. In a world that debates whether the future is a clash or an alliance of civilizations, their remarkable journey is a beacon of hope – and not just for Nigeria. I learned from them what had “transformed vengeance into reconciliation”. Between September 2001 and May 2004, nearly fifty-four thousand men and women were killed in three years of ethnic conflict in Nigeria’s central plateau. This led in May 2004 to then-President Olusegun Obasanjo declaring a six-month state of emergency for Plateau state, replacing the elected civilian governor with a military administrator. With the largest population in Africa (140 million: half Muslim, half Christian or local African religions) and being the seventh largest oil producer, Nigeria is, according to George Paden, professor of international studies at George Mason University, a key fault line in one of the most strategically important countries in the world, central to global stability. The work of “the Imam and the Pastor”, as Ashafa and Wuye are widely known, is having ramifications way beyond Nigeria, not least because, for a time, they were at the heart of the problem. The men address a key issue facing people of faith today: how the Christian and Muslim worlds can live and work together without compromising their fundamental religious principles. I first met the two men at an international conference in 2004. Their witness, standing together, was powerful: two militant religious extremists, now working, as they put it, “for the transformation of society”. Seeds of reconciliation were sown when the imam and other community leaders visited the pastor’s sick mother in a hospital. “Ashafa was radiating love, but I’d been blinded by hate and pain,” he says. A turning point for him was the word of an evangelist: “You cannot preach to someone you hate. If you will truly do this work, you must begin to forgive them for every hurt against you or against anyone you have loved or you love dearly.” As their work expanded, teams of pastors and imams travelled to trouble spots. These teams had much to learn about each other’s faith. Christians had to learn to be patient when Muslims went for prayers and likewise Muslims on Sundays when Christians went for theirs. One emphasis of their Interfaith Mediation Centre was on bringing young Christians and Muslims together for conferences and work shops. Where violence had broken out in Northern Nigeria, they have gone together to the streets to calm tempers and find solutions. At one point, Imam Ashafa protected Christian women and children in his home and was threatened with death by militant Muslims, and Pastor Wuye saved a Muslim woman during one particularly violent episode. In the name of God, who is Almighty, Merciful, and Compassionate, we who have gathered as Muslim and Christian religious leaders from Kaduna State pray for peace in our state and declare our commitment to ending the violence and bloodshed, which has marred our recent history. According to our faiths, killing innocent lives in the name of God is a desecration of His Holy Name and defames religions in the world. The violence that has occurred in Kaduna State is an evil that must be opposed by all people of good faith. We seek to live together as neighbours, respecting the integrity of each other’s historical and religious heritage. We call upon all to oppose incitement, hatred, and the misrepresentation of one another. Despite such promising initiatives, Nigeria saw renewed violence in 2002 and twenty-five thousand troops had to be deployed to subdue the unrest. Consequently, what was called the Yelwan Shendam intervention came at the invitation of the Plateau State administrator; the pastor and the imam gathered key leaders for five days of sharing and negotiation. Working through all the issues, they finally made a joint peace affirmation. On 19 February, 2005, thousands celebrated the peace agreement, including many who had fled their homes and now felt safe enough to return. 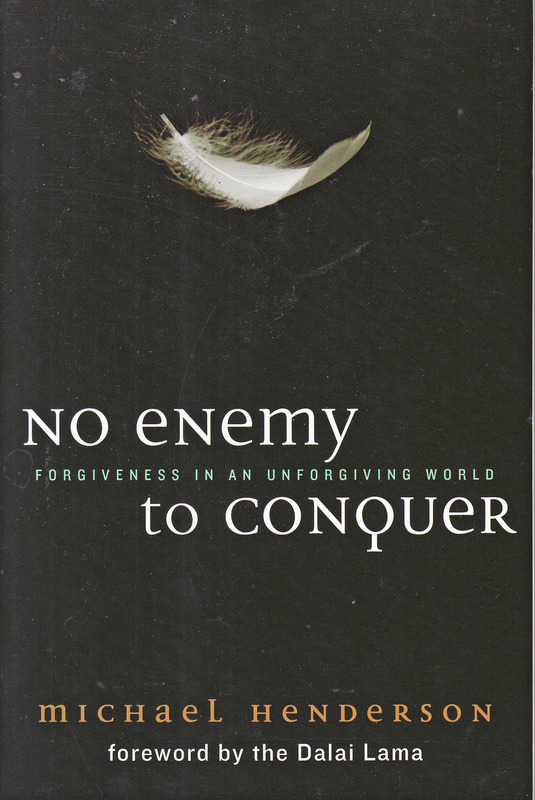 Their story, as David Smock, of the US Institute of Peace says, is “a narrative of religious peacemaking”. 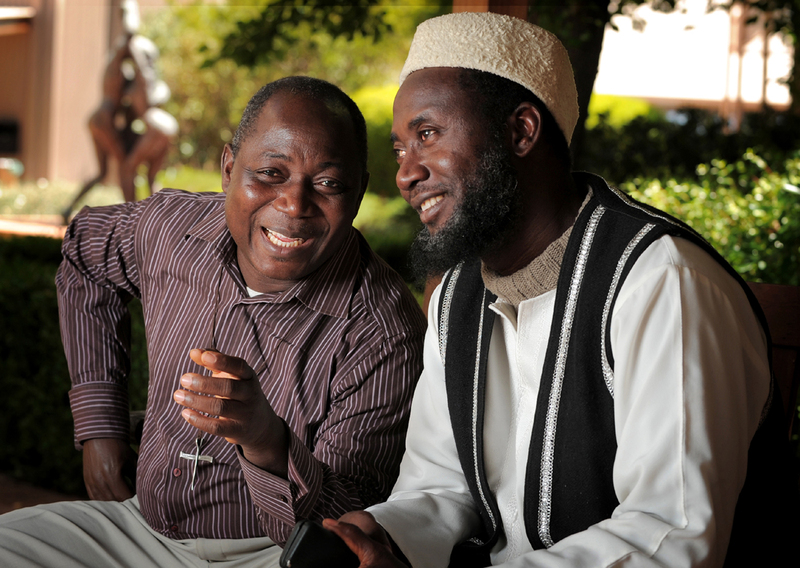 Progress would not have been achieved if the pastor and the imam had not combined both religious exhortations with well-tested conflict-resolution techniques, demonstrating “that even the bloodiest religious conflicts in Nigeria can be addressed creatively.” They then turned their attention to comparable religious violence in the Plateau state capital, Jos, and again a peace accord was signed. The DVD of ‘The Imam and the Pastor’ and a DVD about the outreach of their work in Kenya ‘An African Answer’ are available from FLTfilms.